Passwords: be creative. If you believe nobody will think you use your pet’s name or the infamous “12345” as your Clerk password, think again. Generate a good, solid combination of words and numbers to avoid intruders in your account. 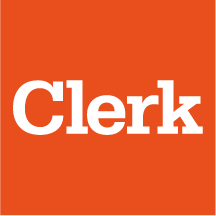 PS: Don’t worry if you forget your Clerk password—we have that covered. Check your statements. In case you were wondering, this is how Clerk works with your credit card. We don't keep or access any of your clients' credit cards since all information is processed and sent as encrypted data, just like major banks do. Log off (completely). Yes, it sounds really basic and amateurish, but it’s common to leave bank account sessions open without noticing it. Just closing your browser’s window won’t guarantee you log off from your Clerk session, which is especially dangerous if you are using a public computer or Internet connection. Also, with our service you can create different accounts and levels of access for managers and clerks. Clerk works with Stripe as our main online payment system, which acts as a merchant and gateway to manage all our online payments in a fast, safe and easy way.